Toyota first global attempt to sell a sports car to the masses was successfully accomplished with the first generation Toyota Celica. The Celica come in many variants, namely the TA22, RA28, and some consider it as the Mini mustang because it's silhouette resembles the Ford Mustang of the same era. The 1st Gen Toyota Celica was a great hit, and 40+ years later is still thought to be the sexiest Celica from all the seven generations of Celicas. 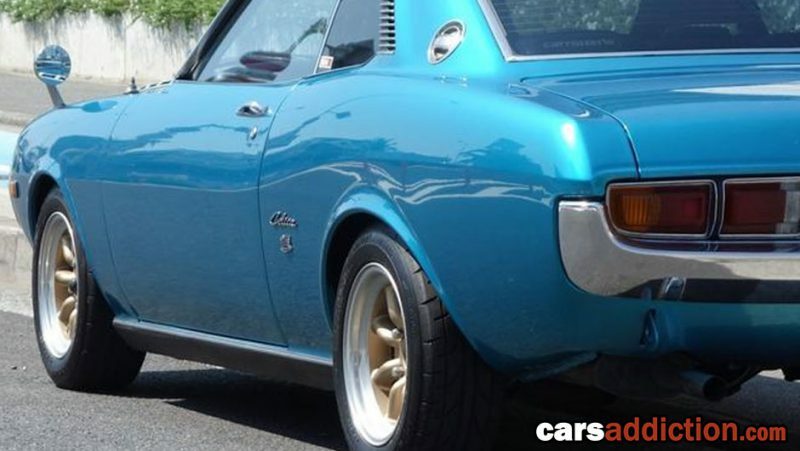 The marketing success, eye appeal, first generation, rear wheel drive and nostalgic connection that many feel with the Celica are all factors of what makes it an appreciating classic car. Check for yourselves and you notice that prices from previous years are nowhere to be found and the prices of the first generation Celica continue to rise. Which is why I have put together this buying guide. I have been a fan of this specific car for years but only recently have purchased my very own Toyota Celica (photos here) and can share my research with the rest of the community through personal experience. 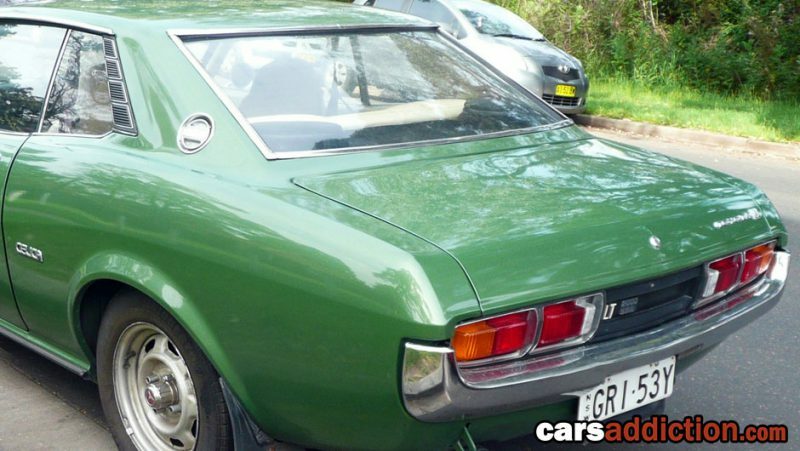 In brief, the Toyota Celica TA22 was first released for sale in December 1970 and continued until September 1975 when the TA23 was released, closely followed by the RA23 from 1976 to 1977. There has been various changes through the years, more of that in our PreFAcelift vs Facelift section, but the major change was the front during mid production. If you are looking to find a matching numbers vehicle, it is important that you study the VIN and that every part of information matches with what the car is currently equipped with. The VIN plate for the Celica is attached with screws and not rivets. Also note the VIN plate is slightly different for pre facelift cars, being attached to the body with 4 screws and wording being all in Japanese. Model - covered in detail in the Model Codes section. Engine - covered in detail in the Engine section. Frame No. - This is unique to each Celica, often referred to as Chassis or Vin number. Color and Trim Codes - the color code can be crossed checked with the relevant table below. It is also believed that the first character of the 4 digit trim code refers to the exterior trim (E.g. F for ST trim), and second digit to interior trim (e.g. D for LT trim). Transmission and Axle - details about the gearbox and axle that this specific Celica rolled off the line with. Toyota Celica (A) with the 2T engine (T), 22 referring to a prefacelift Coupe variant. This would be later replaced by the TA23 facelift long-nose model. Toyota Celica (A) with the 18R engine (R), 28 referring to a Liftback variant. There was never a prefacelift Liftback. When shopping for any car from a Japanese manufacturer, especially Toyota you will see information and references with a series of digits and characters such as TA22,TA23, RA23, RA24, RA25, RA28, TA28 & RA29. These unique codes refer to the exact generation, body style and even trim of the car in question. These codes should be taken religiously especially when searching for parts and a genuine car. 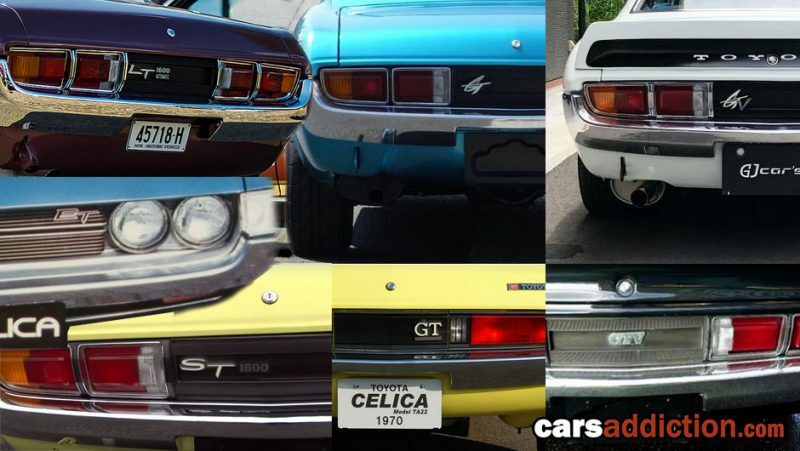 Below is a reference guide to all codes for the 1st Generation Toyota Celica. **The common TA22 variant comes with the Slant nose, however there was a short run with the Long nose, easily spotted by not having the front turn signals recessed in the bumper. The amount of optional equipment and the engine can be vaguely matched towards the trim of the vehicle, although in theory you could have an ST equipped as a stock GT, in other words do not restrict your search only for GT models or pay a premium because its a GT. GTV: Specced for racing, low on specs but comes with the 2T-G engine as standard. Official Toyota Celica accessories are clearly shown in the below brochure snippets. Remember these are times when Tachometers, center consoles and radios were considered as a premium option. The 1st generation Toyota Celica comes in 2 body styles which can be easily distinguished from the rear. The original coupe version (Right, in the photo above) and the later introduce Liftback (Left, in the photo above) which is sometimes referred to as the Mini-Japanese Ford Mustang. The panels from the doors towards the front are interchangeable including the doors, but all glass is different and non-interchangeable with a coupe as the roof line if completely different. In the Celica community, you would come across the terms slant nose and long nose. 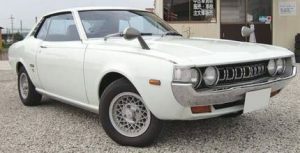 In summary, the slant nose relates to the original Celica pre-facelift version, easily noticeable by the trapezoid-like shape front corner light. And the Long-nose refers to the revised version, aka facelift in 1975 were Toyota introduced a flatter looking front. Although the front looks similar, they are different and not exchangeable. However anything from the doors towards the back can be swapped between Facelift and Prefacift Celicas of the same body style. Front - Besides the obvious front end forward slop, sometimes referred to the Slant Nose version, the bonnet was shorter and had removable vents. Rear - The “early” version was furnished with the petrol tank in the boot floor and the petrol filler located behind a chrome alloy flip plate between the rear taillights. 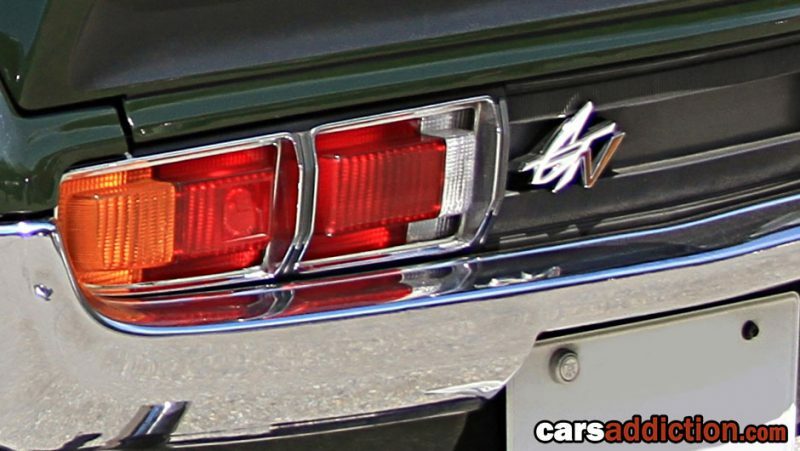 The tail lights were flat in comparison to the later version, JDM cars are specific with all the all red, when compared to other markets with red/amber tail lights. The spare wheel is also mounted on the side of the car to make room for the fuel tank which is located in the usual spot which is called the wheel well. Did you know? The all red rear flat lights came in two variations. Small reflectors which were Japan only or large reflectors which I believe were EU only. Rear - In August 1972 the petrol tank was relocated to behind the rear seat and the flat taillights were replaced with the more common shapely items. The fuel tank relocation was carried out in order to reduce the chance of rupturing the petrol tank in a rear-end collision. The petrol filler was relocated to the passenger side rear roof turret. 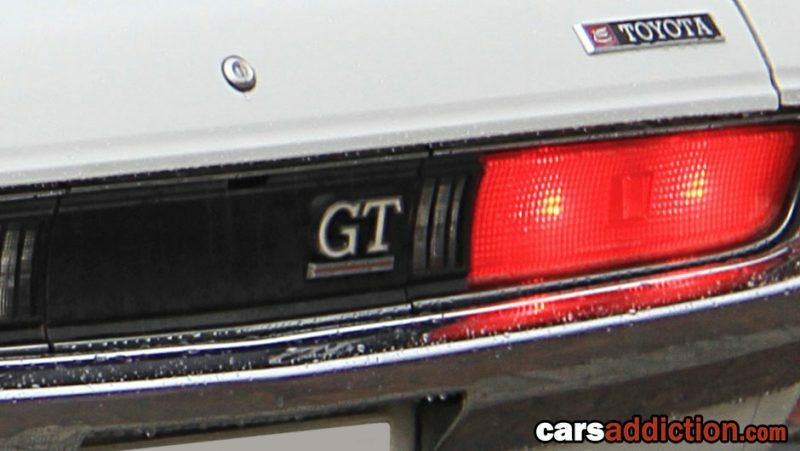 Badges - The vehicle badging was updated to the "italics" style for front and rear however the cursive Celica side badge remained unchanged. The facelift, aka Long nose or Flat nose models are straight away distinguishable from the front by having a flatter front than the previous model. These had a longer wheelbase, wider track, different fenders, different hood, different valance, different bumper, different dashboard, etc. Front - Dubbed as the Long-Nose, the bonnet (or hood) was longer than the pre-facelift model and had a more distinctive bulge in the bonnet, additionally it lacked the removable bonnet vents. With this upgrade the engine bay increased to about 75mm. The washer jets were relocated from the center panel work to the air vents. Rear - January 1974 saw a minor facelift for the Celica. The guard lips were squared off, and the rear quarter vent was changed, and the badge styling got bolder and "Block" style. TA22 'long nose' take note of the front indicator position under the bumper rather than recessed in the bumper. The valence section under the grill and headlights is also different to the new model xA23 in that the long nose counterpart is one piece from guard to guard. The long nose (true facelift) TA22 also carries a different bonnet with no bonnet buldge like the xA23 and chrome metal flutes compared to the molded xA23 bonnet vents. xA23 bumpers bonnet guards grills or any other body part from the firewall forward will not fit a long nose TA22 and vice versa. While the whole front end of a long nose TA22 will directly bolt to a pre facelift TA22. The best thing that Toyota has designed the chassis for each and every first generation Celica equal, meaning that any engine mentioned below will bolt straight into your Celica. So if you want to go a bit faster, or want to replace your engine, it will be less effort than you think. I have listed all engines available for the first generation Celica from the slowest to the fastest. 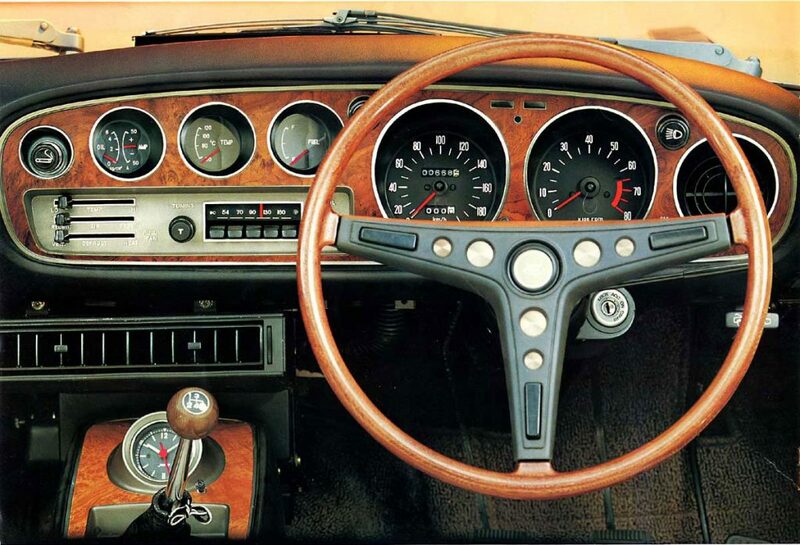 All engines for the Celica were 4 cylinders, however later models included more valves which meant more power. Note: Technically speaking an engine from the same family could be upgraded with parts from the other engine. Additionally the chassis of the Celica remained the same between variants, so stuff like engine mounts should be the same between the ET, LT, ST and GT. One dead give away that your car has been resprayed into another color is the code on the VIN plate. If you are buying the Toyota Celica as a classic car investment it is important that the color matches the code on the VIN plate. From what I could gather Toyota offered the Celica with five main wheel designs which are pictured above. Note that one design might have been released in various widths. Also note that if you ever wondered Toyota suggests you to set the wheel Nut Torque between 9 to 12 m-kg (65-87 ft-lb). The original specifications from the user manual are listed below. In today's market tire sizes are specced differently, during the 70s tire manufactures stamped SR to identify an 82 profile (aspect ratio) and HR to an 80 profile. So the rolling diameter for the 165SR14 and 185/70/14 (614.6mm) are 11.6mm different. The aspect ratio is the size of the tire's sidewall in relation to it's designated width. To determine your choices in choosing different wheel and tire combinations, you generally have to consider the overall diameter of the original tires - regulatory guidelines dictate any wheel tire combination change must be within a specific percentage of the original.